I used papers from the K and Company Super Paper Pad. so I decided it was time that I used mine! It goes so well this Spring or Easter images! 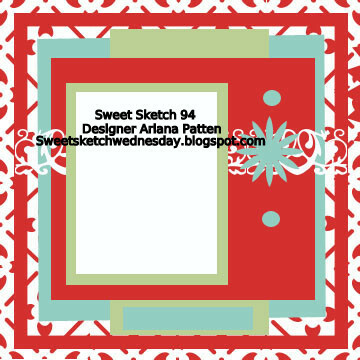 And of course, Arlana came up with a sweet sketch....Sweet Sketch 93 for this week's creations! But there is also another portion of the challenge this week! to use a bunny image or an image with a bunny as part of the image! Melissa is offering a wonderful treat for our Grand Prize Winner. If you are the winner, you will get to choose 4 free digis! So be sure to play along for the chance to win. 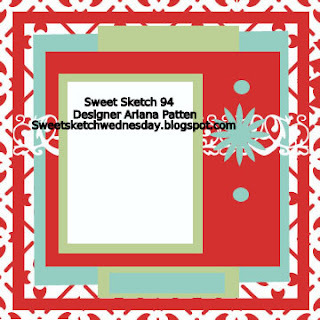 This is Arlana' Sketch this week! Hope you enjoy our Bunny Week! Love the color combo together!! Aqua and red is always so striking. 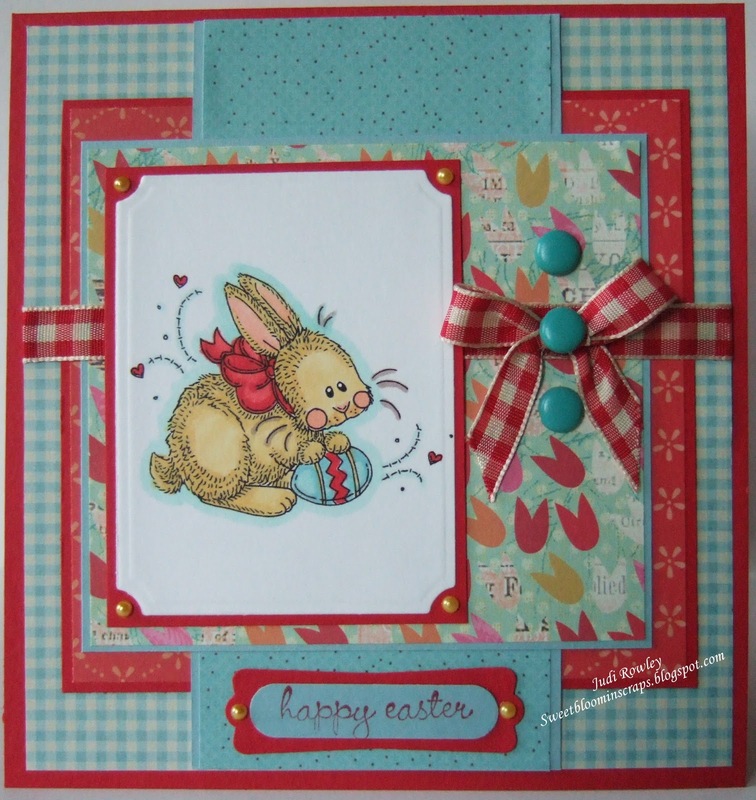 Your paper and ribbon are perfect - I LOVE gingham! I'm with Deanne, I love your colors too Judi!!!! Your bunny is absolutely adorable too!!! Love the idea of the added twist to this week's challenge, so fun!!! Oh Judi your color combination with that fantastic tulip paper is outstanding! I love it. And you've colored the image to match perfectly. Love that gingham bow with the brad as the center. Such a wonderful, perky card! 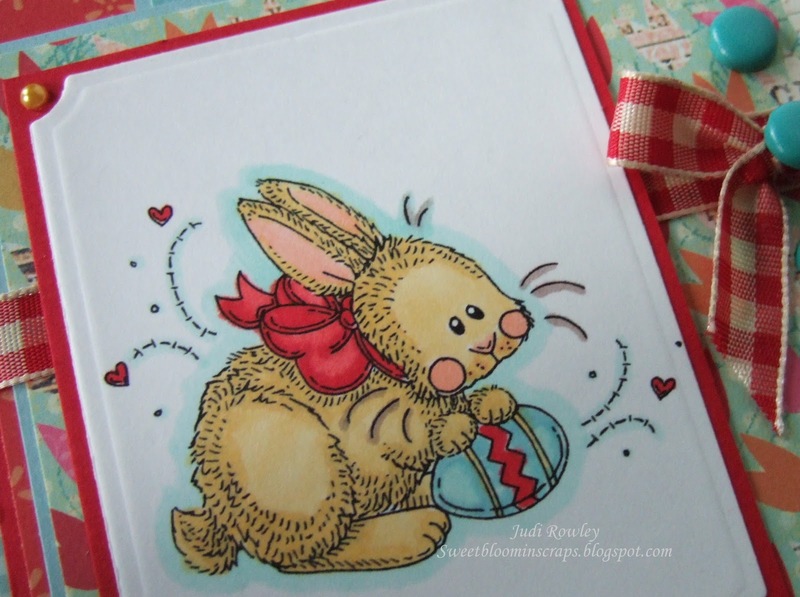 Hi Judi, I love your Bunny so so cute and your colour combo is perfect. I love that tulip paper they are such fun colours. I'm really into gingham at the moment so your red ribbon and brad is the perfect finishing touch. I just love it. Take care and have a great week and weekend. I love these K & Company papers. Great combination Judi on the colors. Yes, I do remember the pinks and greens in your bedroom. I love those colors together. Your bunny is colored to perfection! I really love it! My favorite color combo! This is just too adorable and how genius that you flipped the sketch! Fantastic! 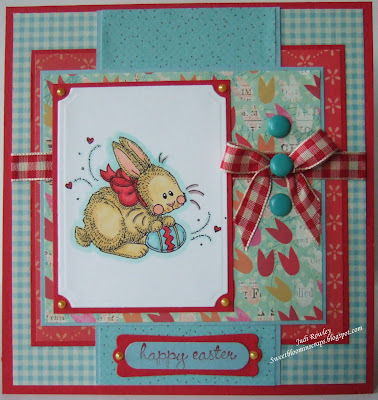 Ohhhhhhh,such a adorable card Judi.I love the colors.I like the bow on the side.And thanks for comenting on my blog.